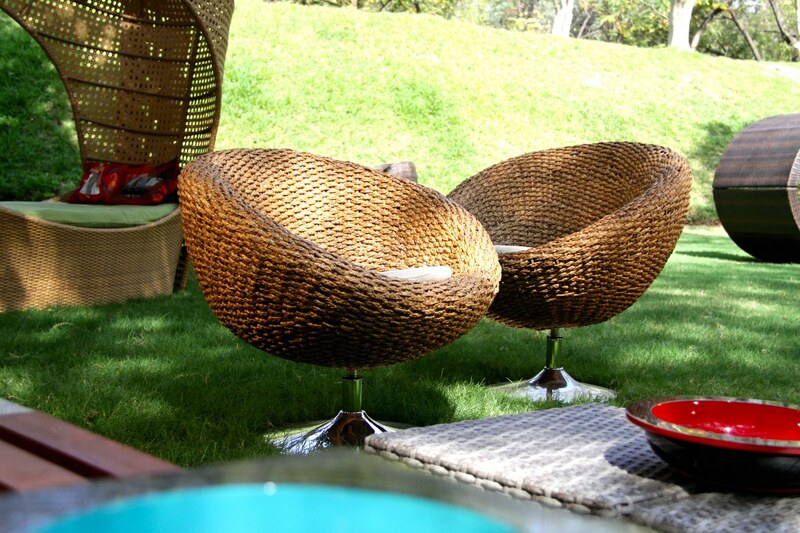 Our beautiful, one of their kinds revolving natural cane chairs with chrome base, are a gorgeous way to sit. They are stylish and chic. Their bucket shape makes lazing irresistible. What is icing on the cake is that these chairs can endure the heat of the outside as well as blend in into the interiors of your house.